ELISA HIBBS minored in Theatre at Fairfield University and received her MA in Theatre from Villanova University. She held various acting and administrative theatre positions In New York City and stage managed at the Opera Company of Philadelphia and the Washington Opera. She has worked at Villanova University in the Theatre Department for the past 27 years; 23 years as Business Production Manager and the past 4 years as Business Manager. In this role, Elisa oversees all business aspects of the theatre department, including all academic and production budgets. She mentors the theatre minors and the graduate students and staffs the production practicum. She oversees the box office and front of house operations. Elisa has served on The Theatre Alliance of Philadelphia and Amaryllis Theatre boards for 10 years and is currently on The Holy Child Academy Alumni Advisory Board. 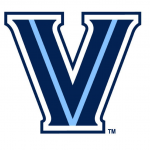 Want to learn more about Elisa Hibbs on the Villanova University Campus?